When in 2010 peak water has been reached in Egypt meaning it became ever more an economic challenge to produce potable water, also food prices were soaring which led to social unrest and eventually to the uprising. Water is the most important commodity. It helps to understand it’s importance when one relates it to production of food or other goods of daily use. Now, water is still scarce in Egypt and not much is done by the authorities to manage the water crisis. 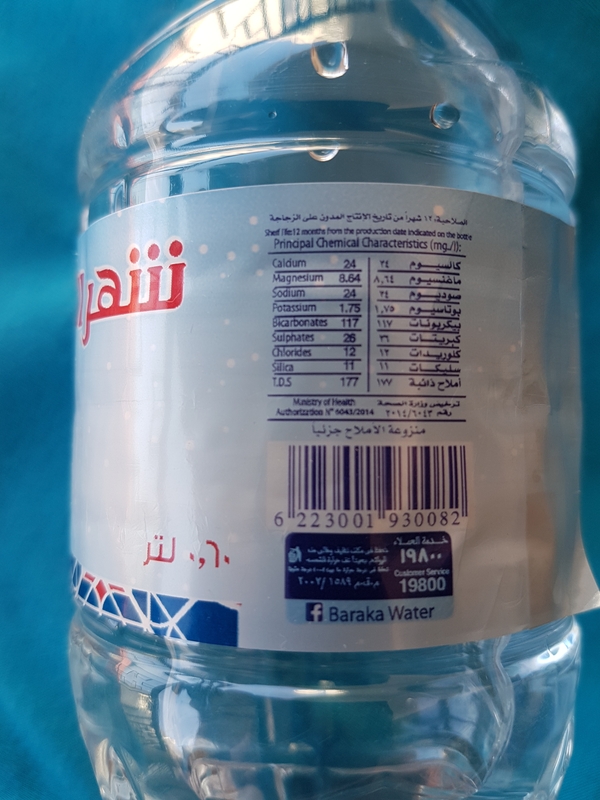 Egyptian bottled water certainly is of higher standard than the country’s tap water but far from being a health supplement. 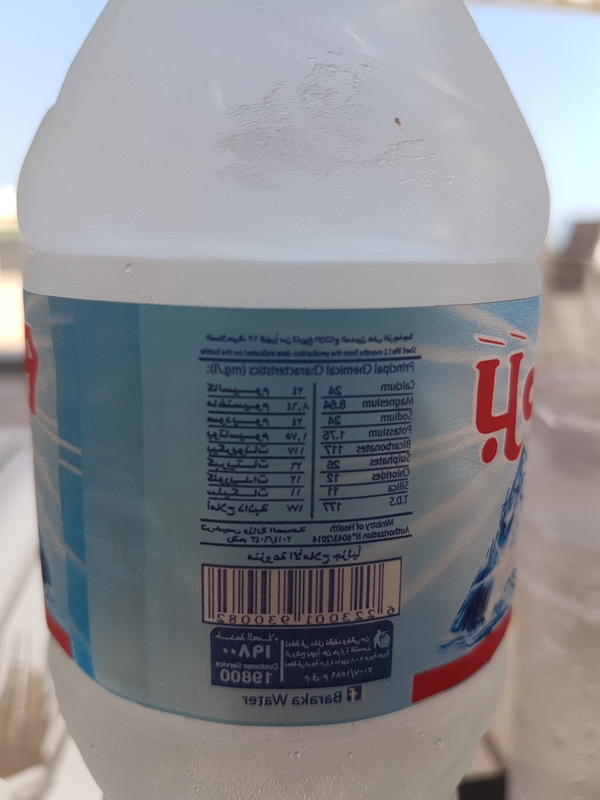 Marginally acceptable 177 ppm TDS and 12 mg/l of Chloride make it rather a ‘swimming pool water’ instead of a healthy drink. Famous Egyptian brands are of lowest standard and even pose health risks. But, also Nestlé is not much better with a TDS contamination of 123 ppm and 8 mg/l Chloride while the pH level is not even mentioned on the bottle at all. With high levels of Chlorine that is being used to keep water fresh and safe the risk of bladder cancer and other serious life threatening diseases is ripe. The WHO suggests a level of 0.2 to 1 mg of Chlorine per liter. Everything higher is considered poisonous. All potable water in Egypt exceeds such levels by 12 times and more. In Austria, for instance, Chlorine is no longer allowed in water unless in emergency cases of natural disasters. Instead potable water in Austria is being kept fresh and safe by UV light treatment. The high bicarbonate content of 117 mg/l speaks for a very low pH level that shall be countered. 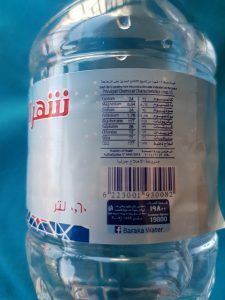 But, the Egyptian bottled water is not much worse than some of the most famous brands of the world. A pH of only 5.5 on an average basis is not acceptable. The pH level and the amount of Chloride (CL) contained in bottled water does matter and here especially the European major brand names from Perrier (pH 5.5 and CL 22), Badoit (pH 6 and CL 54), VOSS (pH6.1 and CL 7.7 by only 44 TDS) and San Pellegrino (pH 5.2 and CL 49) completely fail any quality standards in this regard. A lower than 6 pH level stands for acidic water that contains harmful contaminationwith heavy metals such as iron. Thus Art Aqua technology is the only one that keeps water fresh and safe for 180 days without any chemicals such as chlorine or being exposed to polymer contamination as even bottled ArtAqua water comes in Tritan-bottles. And, being of purest Spring Water quality with only 25 ppm TDS (Perrier: 280, Evian: 220, Agua Panna: 134) it provides for highest level of healthy nutrition at pH 7.8 depending on requirements by clients who wish to use water as a health supplement at a fraction of the costs of brand names.Water is meant to transport the minerals taken in by good nutrition through the body but not add unnecessary or dangerous minerals to the system.